If Mr. Holland were to do progressive rock, this might be the source of his inspiration. It plays like a class project from musical honor students since it’s intricate and pensive. Fishing for the highest grade possible, never does it rock out for the sake of it. For that reason, Opus One is closer to art than music. This song takes its time to develop. After atmospheric mist fills the space, dew eventually forms into a song-oriented poem. Once set, it’s in the vein of Solstice. While instrumentally consistent with the first, the lyrics are obsessed with a specific thought. The line, “Forever, you have taken my heart,” is unremittingly repeated by the harmonious duo of Derek and Esther Barber. If it weren’t so beguiling to begin with, this incessant behavior would have been unwelcome. As it stands, this material is along the lines of Morrissey who’s both catchy and creepy at the same time. While prior songs border on folk, these cool waters drain from the same basin as No-Man. In general, Porcupine Tree and Blackfield are there just beneath the surface of each submission. Still, this emotional track is the best of their tender offerings. Not to mention, it’s the longest. In terms of breadth and depth, its outline could easily overlay a bisection of Echolyn’s Mei. If Pink Floyd covered Harry Chapin’s “Cat’s in the Cradle” it would sound a lot like this piece. Maybe the title - that’s in reference to someone’s halo - is a hint that this should be recorded for a laser light show. This is the second of their epics. Oddly enough, it’s runner up to their performance in that previously run mini-marathon. Overall, this band does well in distances that test for endurance. In its final stretch, they keep posture and form. The reprising themes are subtle but they’re in there. Also, guitarist Richard Shukin, who is their third member, generously applies acoustics at this juncture. Ultimately, they coast past the finish line in just under an hour. More than an afterthought, this abridged ditty rounds the album out. Its remiss muse is similar to the opener. The main difference is in its exploitation of several nebulous sound bytes. 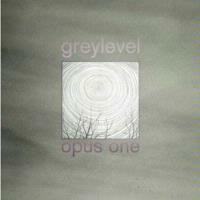 In grand total, Greylevel is existential in its verses and moods. Explicitly, they sing of peace, but to further break it down; the four cornerstones of their unified concerto is way, truth, life, and love.